Traffic jams are not only frustrating, they can often turn dangerous quickly. Getting stuck in a traffic jam is one of the most frustrating things that can happen on the road. These situations also frequently lead to accidents and injuries. The good news is that following some common sense safety tips can reduce your danger significantly. Here are six of them. Though emotions are not easy to control, talking yourself through stressful situations often help. The first thing that happens when you do is that you stop going down the path of getting more and more angry. Next, you can start to either reduce your frustration or, at the very least, keep it at a manageable level. This habit will keep you from getting into accidents due to aggressive behavior. Another excellent way to manage your emotions is with your speakers. When you do, experiment with either calming music, low-stress talk radio, or interesting podcasts. As you might imagine, provocative content like hard rock or political discussions may inflame your emotions further. Traffic jams tend to stop and start frequently. For this reason, you should always be ready to hit the brakes. Doing so can protect you from rear-ending the car in front of you and hitting any other hazard. This habit is especially crucial because you will likely be found liable in collisions where you did not stop soon enough. You might think it is okay to pass the time by looking at your cell phone while in a traffic jam, but this habit is actually incredibly dangerous. What happens when you adopt it is you increase your reaction time in conditions that require it to be as low as possible. As with not braking in time, this issue often leads to costly crashes. Another method you can use is avoiding the jams altogether. One way to do so is taking an alternate route. Even if that way is a bit more time consuming than fighting through the traffic jam, it might be worth it to lessen your frustration. One thing to note is that some drives do not have viable alternate routes, so this tip may not apply to you. 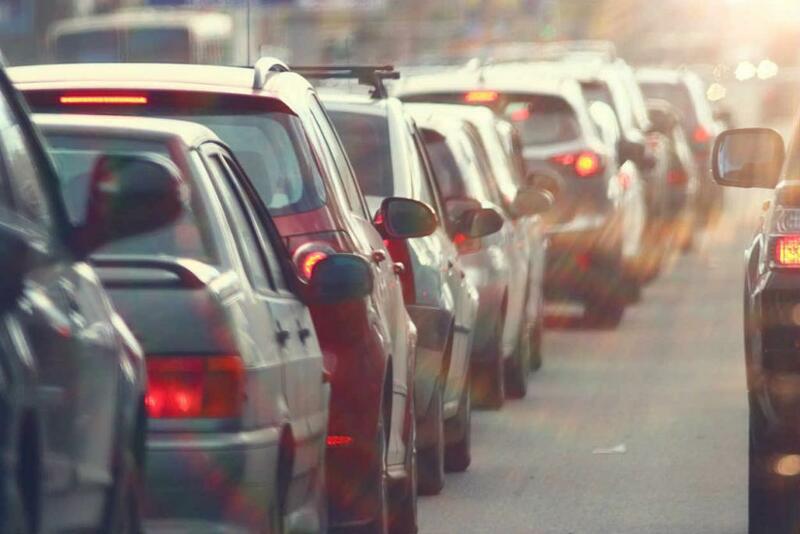 The second way you can avoid traffic jams is by changing your schedule. One typical shift people make is driving to work before or after the rest of commuters hit the roads. They often kill time by starting work early or going to a gym near their destination. You can make similar adjustments with other tasks and timeframes. Hopefully, with the help of these traffic jam tips, you can make it off the roads without getting into an accident. If you end up being involved in an accident due to the negligent actions of another driver, give our St .Louis car accident attorneys a call 24/7 to discuss your case. Doing so will bring you closer to obtaining the benefits that you might need after the collision. Call (314) 361-4242.